Our inn is located deep in the mountains of Wakayama prefecture. These rich natural surroundings provide us with ingredients for our famous meals, which are delicious and healthy. 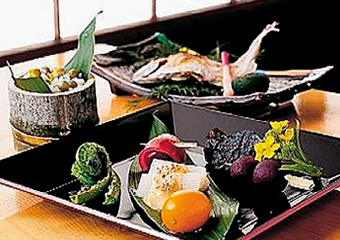 Our cuisine features fish from Ryujin’s crystal clear rivers and fresh vegetables from the area. Please enjoy our traditional Japanese meals in an authentic environment.